Overview: Why does the quality of domestic rule-making matter? OECD countries have invested in the quality of laws and regulations, but there is room for improvement for everyone. 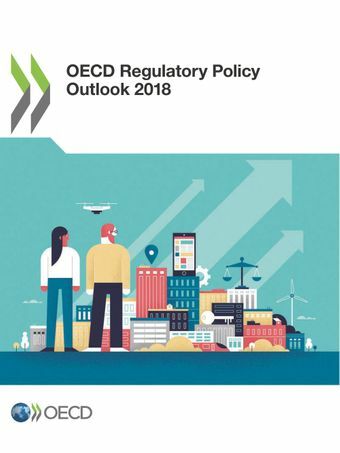 All OECD and accession countries now have an explicit policy to promote regulatory quality across government, and have made progress in adopting key tools of regulatory policy, such as stakeholder engagement processes and regulatory impact assessment (RIA). Still, regulatory policy tools are still underused or not applied effectively in most countries. The “lifecycle” of regulations remains largely incomplete. Countries focus strongly on the design of laws and regulations, and much less on enforcing and reviewing them. Systematic approaches to evaluating whether laws and regulations achieve their objectives in practice are not frequent. Policy problems do not stop at national borders. Nor should your regulatory policy. The greatest policy challenges of our time, such as climate change, supporting global value chains, or guaranteeing the safety and privacy of citizens and consumers, require combined international efforts. The Outlook points to various steps governments can take to co-ordinate and align their attempts to regulate pressing transnational problems through international regulatory co-operation. Gaps in regulatory policy may stem from limited quality control and oversight. Oversight is a critical link in the regulatory governance framework that helps to foster implementation of regulatory policy in practice. While there is no one-size-fits-all model, oversight in most OECD countries is patchy and does not cover all relevant aspects of regulatory policy. It also comes late in the rulemaking process, so that its impact is limited. For further information, please contact Céline Kauffmann or Nick Malyshev, OECD Regulatory Policy Division.